Yesterday, Acer announced its first 12-inch Chromebooks, but it's not done at the BETT education conference just yet. 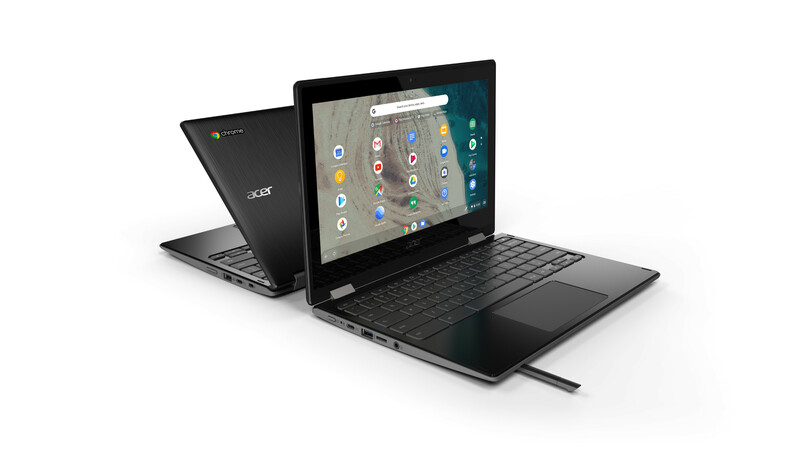 The firm today announced some new 11.6-inch models, including the Chromebook 311, Chromebook Spin 311, and Chromebook Spin 511. All of the new devices are MIL-STD-810G certified, meaning that they're tougher than the average laptop. They should be shock-proof, and they can handle drops of up to four feet and 132 pounds of downward force. They meet toy safety standards (ASTM F963-16 and UL/IEC 60950-1), so they can be used by younger children. The Chromebook Spin 511 is the higher-end of the bunch. It has a built-in pen, as well as an antimicrobial Corning Gorilla Glass display. There's also an option for a five-megapixel world-facing camera. All of them are offered with Intel's latest Pentium Silver and Celeron processors, although some configurations of the Chromebook 311 come with AMD's new A4 chipsets that have Radeon graphics. They'll all be available in North America and EMEA in Q2, and pricing has not been revealed.